Meet Daisy! 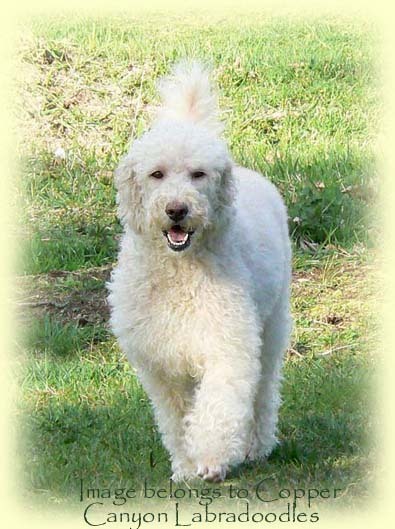 Daisy is a lovely gold and white parti marked Australian Labradoodle out of Domino and Murphy. 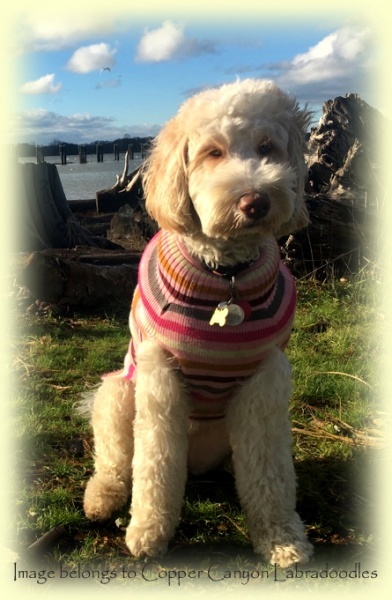 She’s a lovely medium 35 pound girl with a gorgeous wavy fleece coat. 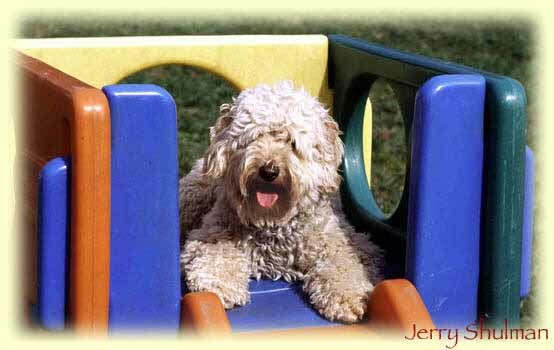 Daisy is a gold and white parti who carries for chocolate as well as phantom. She lives in a guardian home in Richmond. Great with kids, she is a gentle girl who greets her favorite people with exuberance and there is no doubt that she is glad to see you! 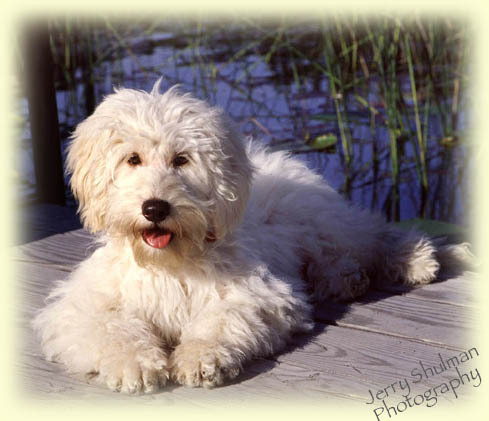 She has passed all her health testing with flying colours and we look forward to some beautiful babies from her. 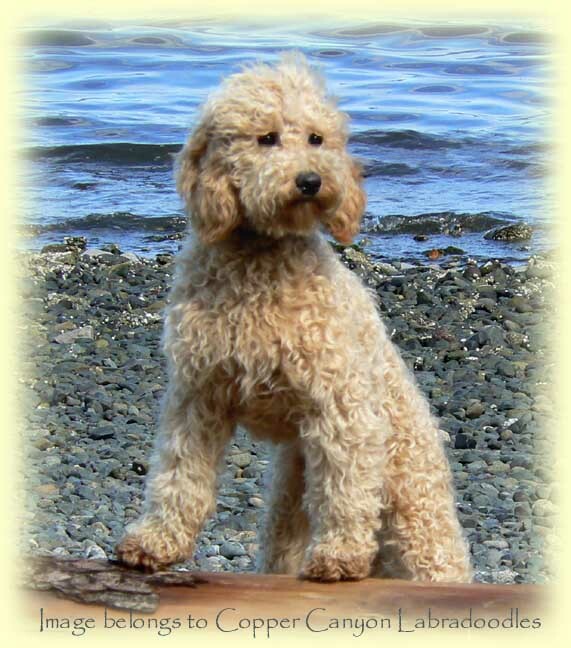 Mia is a sweet heart of a girl that we have retained from Cassie’s Australian Labradoodle litter with our Teddy. Teddy’s bio is on our Boys page. She is a soft natured, friendly and fun girl, very easy to train and very easy to have around! She is a rose nosed chalk girl (like her mother) with a lovely fleece coat and an amazing, blocky body, just wonderful boning. She has finished growing and is a lovely 17.5″ tall at the shoulder and weighs 35 pounds. 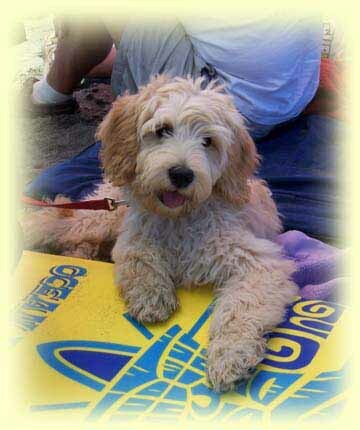 Our beautiful Nicole, our first multigen Australian Labradoodle that we have kept back for our program! 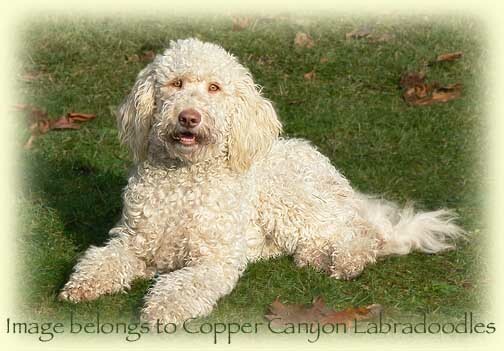 Nicky is a sweet natured girl, and when I wasplaying with this litter of labradoodles, every time I looked down beside me, there she was, curled up to keep me company. 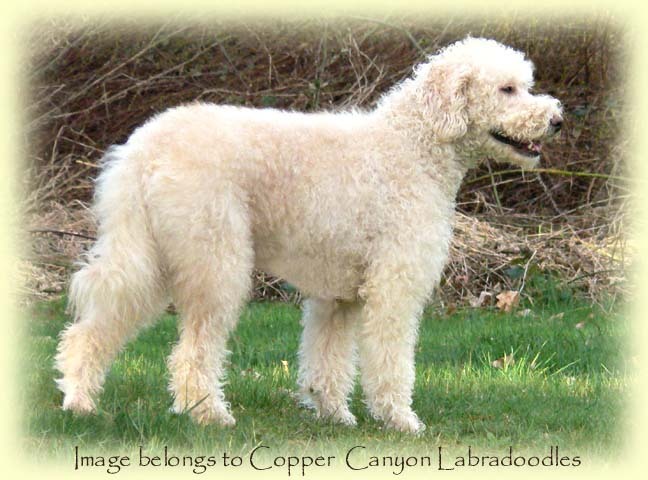 However, personality is not enough to earn a place in our labradoodle breeding program, she also has a nice solid build and a lovely creamy fleece coat. She has such a kind face and soft look in her eyes! Nicky lives with her guardian family in Victoria where she has two boys to play with and a yard of her own. 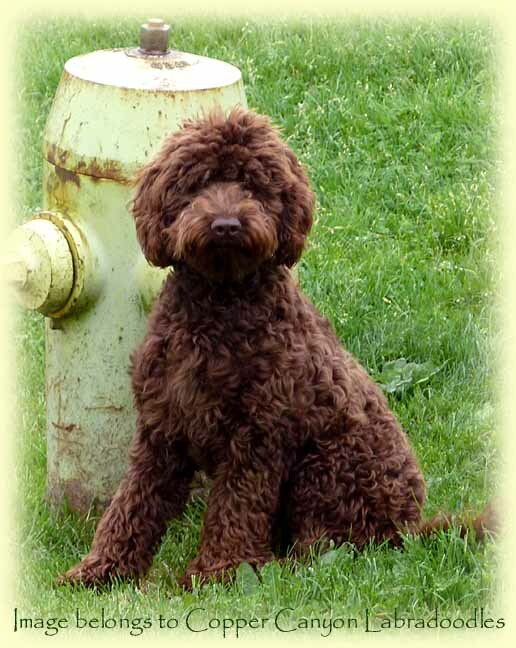 Connor is a lovely 1st generation fleece/hair coated standard labradoodle boy standing 24 inches and weighing in at a sturdy 76 pounds. He carries great red genes from his father and also carries for chocolate. He’s a gentle natured boy and is very easy going about life, loves attention, playtime and room to run. He has already produced one puppy that is in training as an assistance dog… we can’t say enough about the temperament on this guy! 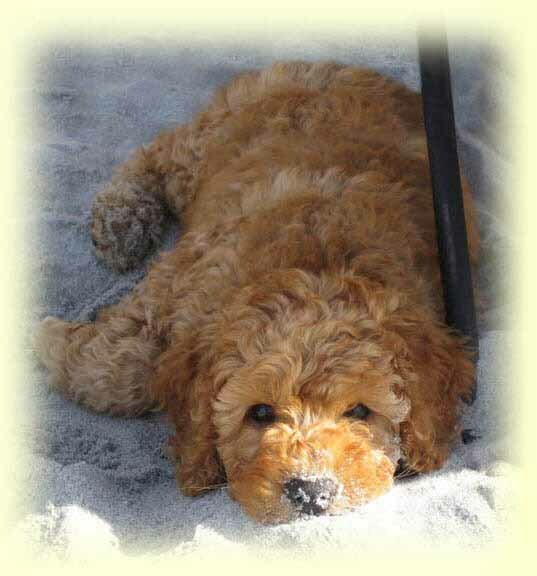 He has a very sturdy lab build and an intuitive and sensitive nature. 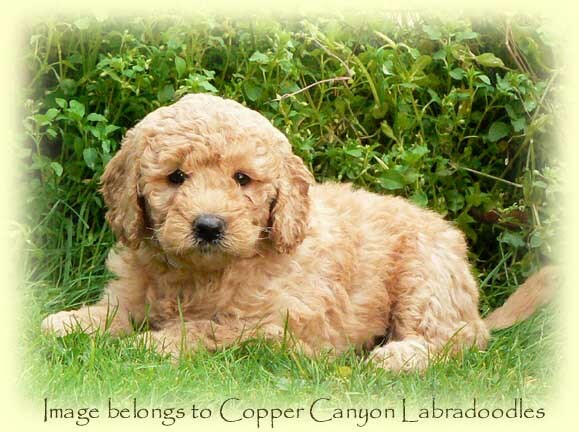 We think he will bring good things into the labradoodle breed. 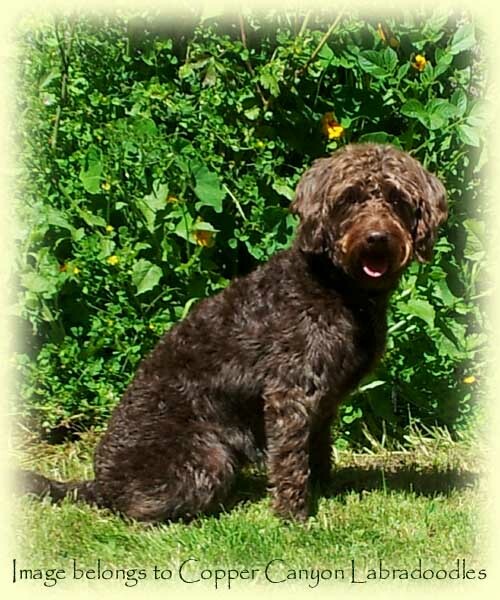 Bobby is a gorgeous standard F2 Labradoodle girl with a luscious coat of dark fleecy ringlets. She is a sweet girl who loves to be with people andher favorite place is to be laying ON our feet or sprawled on the kitchen floor. She also has the most endearing habit of laying her head in our lap when she wants attention! 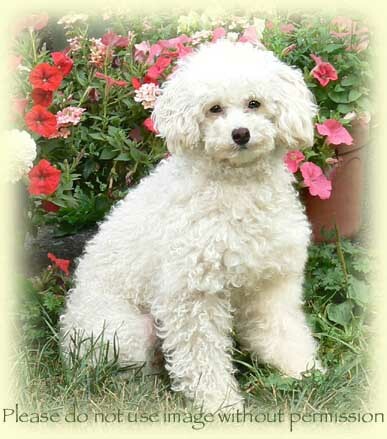 Missy is a graceful and sweet natured miniature poodle that we have temporarily added to our breeding program in order to add some new and interesting colours to our breeding program. 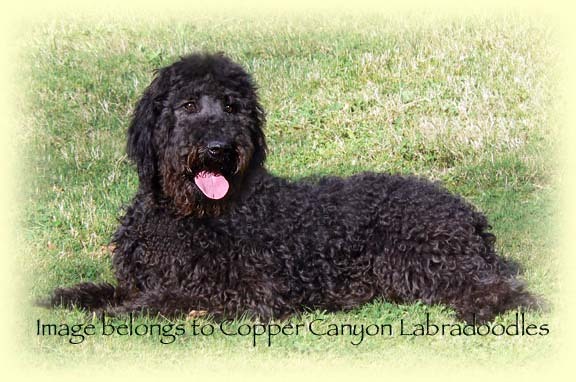 She carries for the very rare merle gene and we think it is gorgeous! Her daughter is our Angie. Missy has passed her testing for patellas, hips/elbows, CERFs and negative for PRA-prcd and lives in a guardian home with a family of her own and two other dogs as buddies. 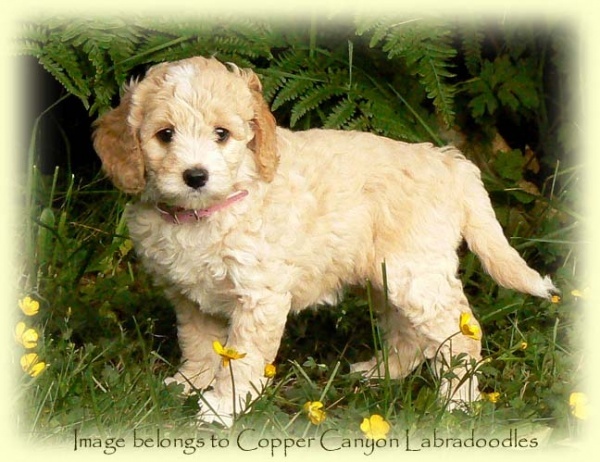 This little sweetie is a dark apricot coloured multigen Australian Labradoodle girl witha fleece coat and a gentle, playful nature. 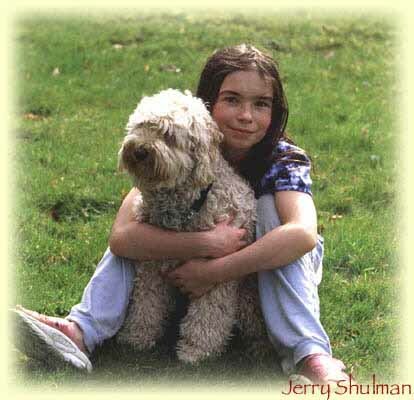 Lucy is Special’s daughter and she has grown up to be 18 inches and around 33 pounds. She is a lovely girl and has a beautiful coat of curly fleece. 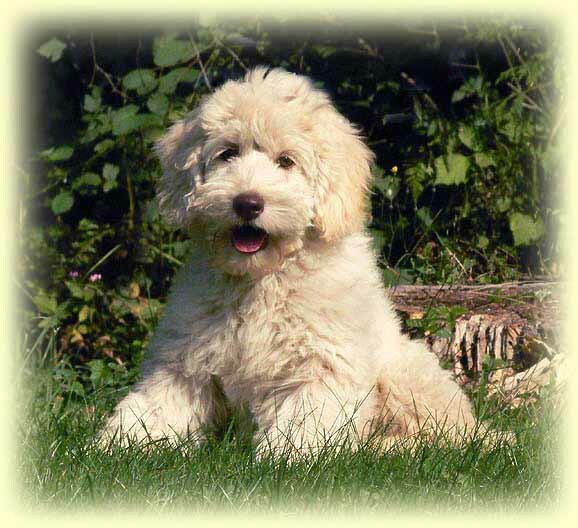 Playful and sweet natured, she is an example of what an Australian Labradoodle should be! Lucy LOVES to meet and greet people. 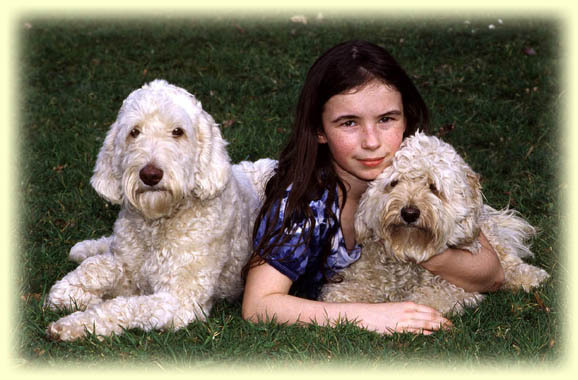 She lives in a guardian home in Oak Bay, Victoria, with a home of her own and boys to play with. 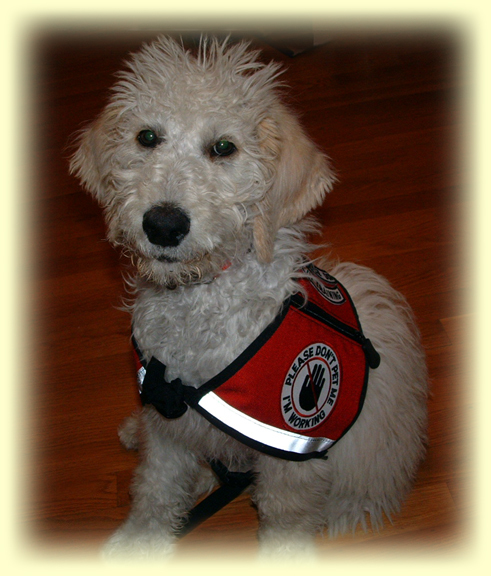 Introducing our Mikka, one of the sweetest natured dogs you’d ever meet! 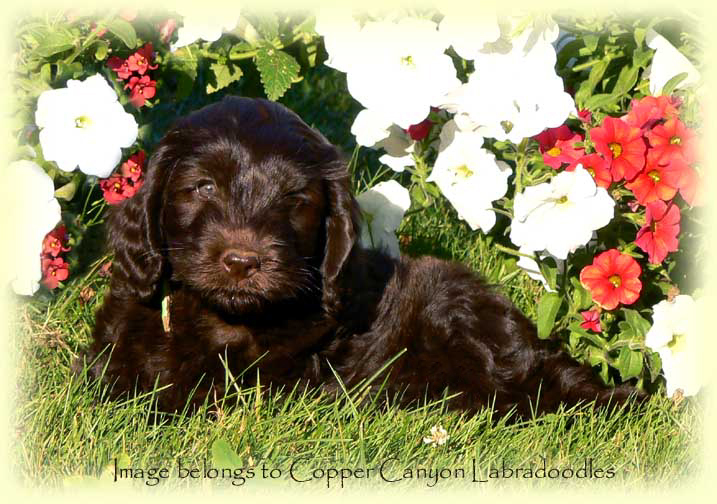 Mikka is one of the few earlier generation girls in our program and brings in new bloodlines of miniature chocolate to our breeding program. She is15 inches at the shoulder and weighs 18 pounds. She has good boning and a wider rib cage as well as superbly soft coat and good dark chocolate colour. 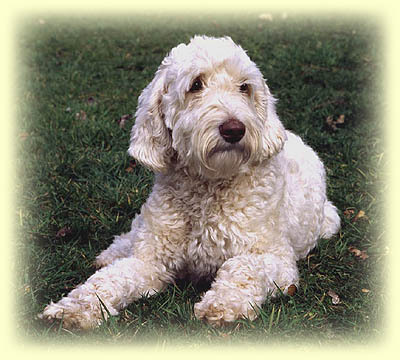 Although she has a smooth face, her puppies have the typical ‘doodle’ look when bred to the right boy. 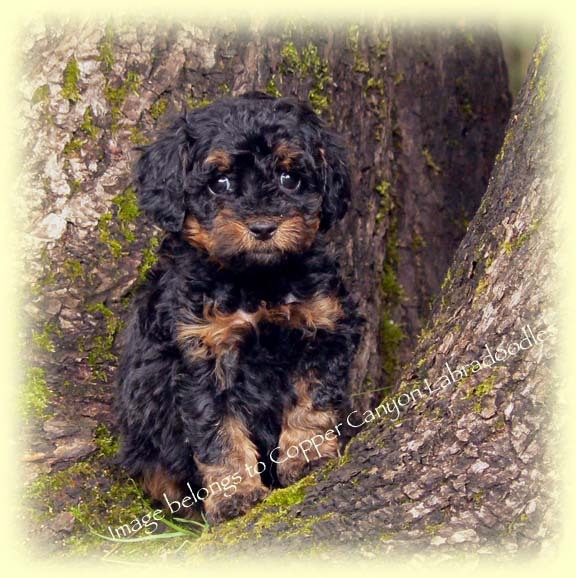 Muggles is one of our upcoming girls, a sweet natured miniature Australian Labradoodle girl withblack/red phantom markings. She is a social and friendly girl who likes to play with the other dogs and to hang out in the kitchen. She is 15 inches and we expect her to finish out at 20 pounds when she is finished filling out. She is smart as a whip and learns very quickly. She’s done her health tesing, and if she has even half the charm of her mother, she will be an amazing little girl! We look forward to babies with her nice nature and rare colour pattern. He comes direct from Down Under and we are really pleased to have him in our program. 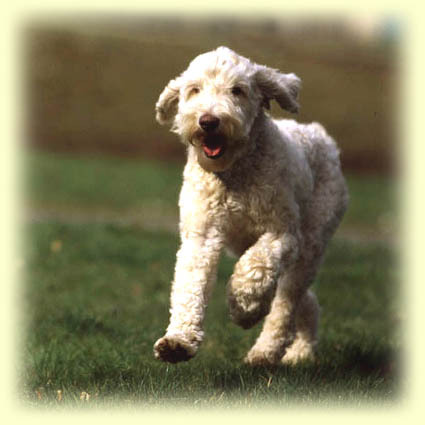 Morey is vWB clear, PRA clear, CERF’ed and has passed his testing for hips, elbows and patellas. 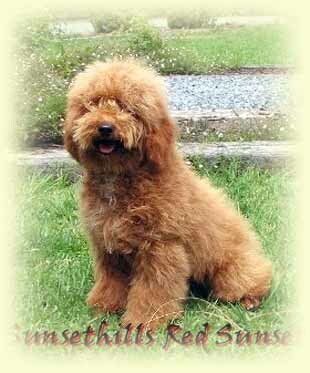 Fergus is a 14.5 inch little red wool coated miniature Australian Labradoodle with a lovely build and a sweet nature! 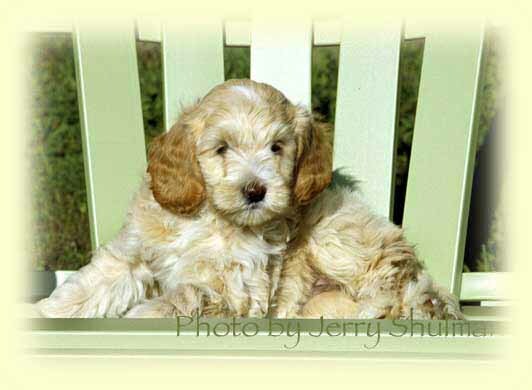 He still needs to finish filling out and I expect he will be 22 – 24 pounds when he is done. 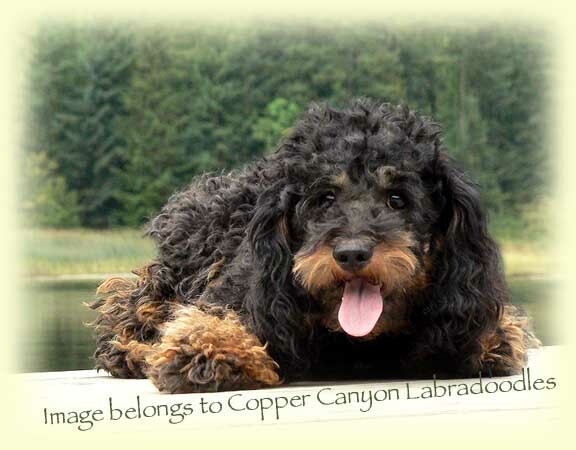 He comes directly from Australia and is a welcome addition to our breeding program. Tegan Park Special Effects is a Calendar Girl! 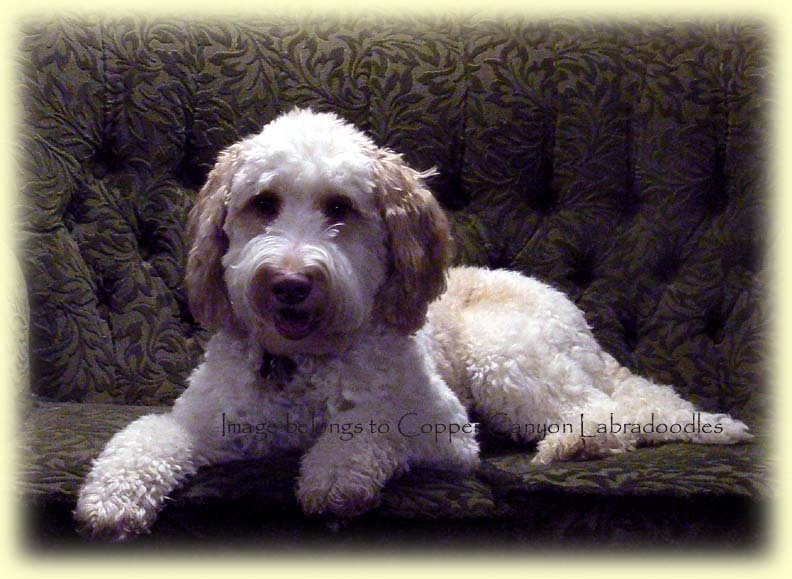 Her photo will grace the pages of the Labradoodle Calendar for 2009. 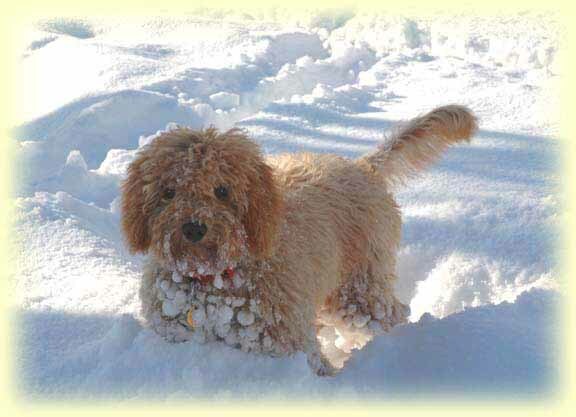 Special is a full sized mini multigen Australian Labradoodle, sixteen inches of cuddle and play, all wrapped in a lovely non shed coat. Special likes to give kisses and snuggle on the couch and is happiest when she’s with her people! She is heavier than she looks, weighing a solid 26 pounds. She is out of impeccable bloodlines and is such a lovely size. 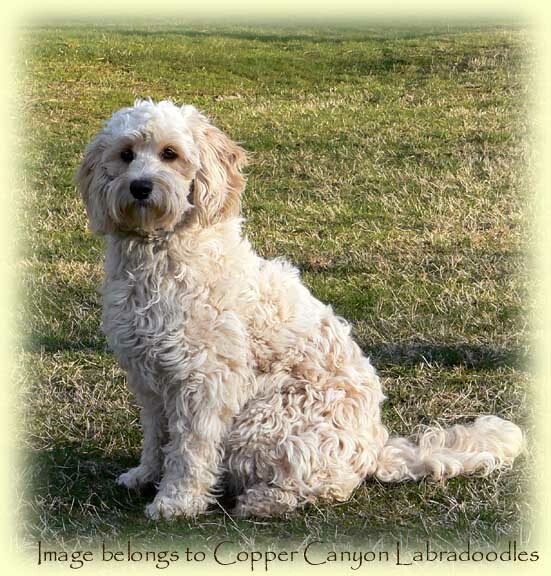 It is important to keep that solid build in the miniature labradoodle size, and Special has that solid type as well as the nature that we look for in this lovely Australian Labradoodle breed. Introducing Murphy! 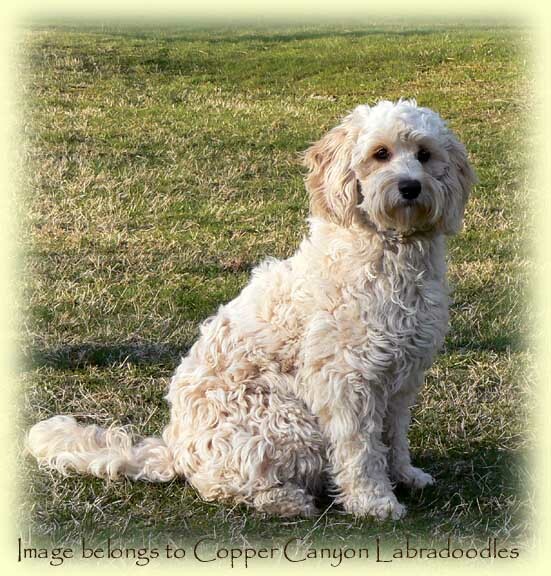 This fellow is a handsome apricot and white parti marked boy carrying for chocolate. He is a gentle soul, quite a cuddler, and follows us wherever we go. 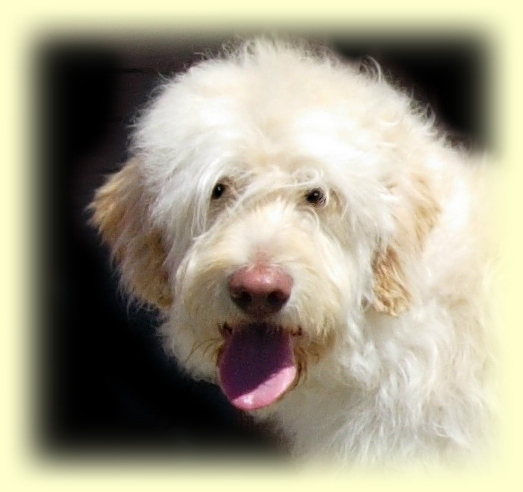 Murphy is a fun loving and outgoing boy who loves going to the dog park. He lives with his family in Ladysmith. 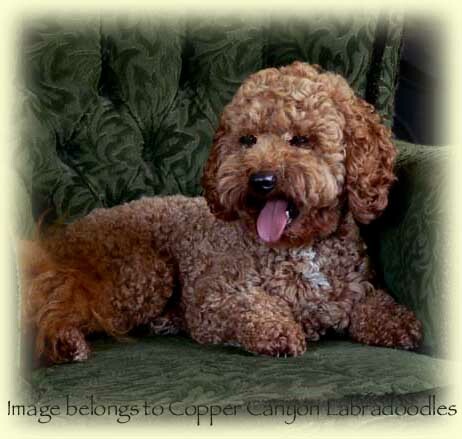 He is a lovely boy with excellent conformation and a soft textured wavy fleece coat that does not matt. 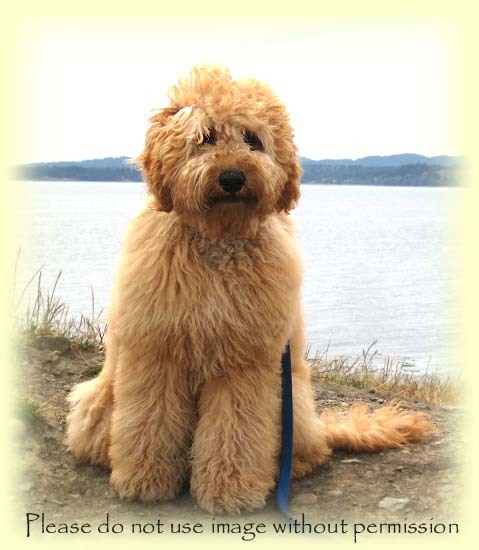 Murphy has finished out as a nice sized medium boy, 33 pounds and 19 inches. He carries for gold, chocolate and parti. 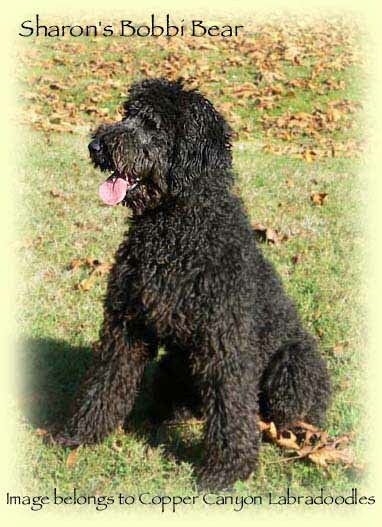 Murphy is out of American Labradoodle lines and is an F3. You can see him here in a clipped cut and ungroomed, which gives you an idea of the difference a hair cut makes… Murphy has passed his health testing for CERF, hips, elbows, patellas and is IC and PRA clear. We look forward to seeing his babies! 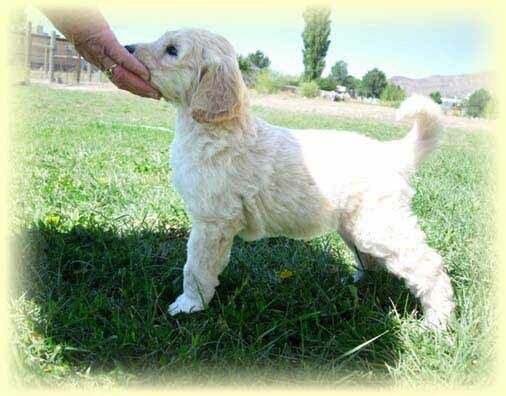 Meet Midas, our upcoming little gold boy! Midas is a sweet natured and mellow boy, a real cutie! 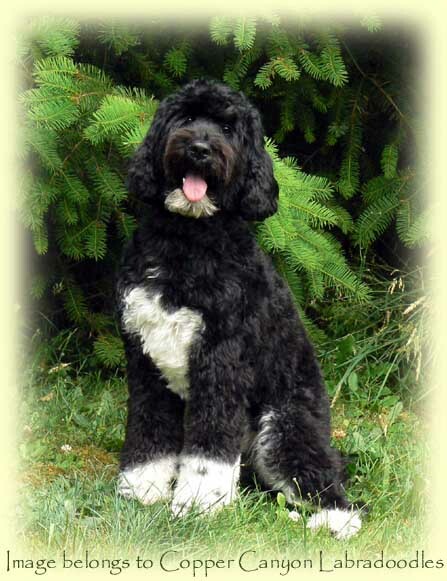 He is out of our Topper and Special and we are delighted with his boning, temperament and coat. Midas carries for chocolate and black as well as gold. With his lovely coat of non-shedding fleece and nice manners, he charms everybody he meets. Midas has matured to be a lovely medium sized fella, 18 inches tall and weighing around 35 pounds ~ he is quite the handsome boy! Midas has completed his testing for hips/elbows and CERF..
Star is a sensitive, cheerful, smart girl who loves long walks, loves cuddling on the couch and adores fetching sticks in the water. She is a super retriever! She is quite lab like in structure as well as instinct. 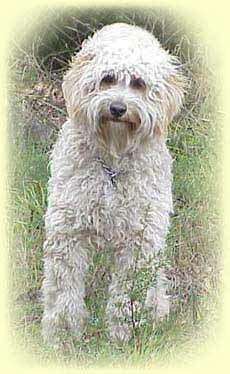 She is an F1 labradoodle, so will produce some new bloodlines to keep our lovely Labradoodle breed healthy. 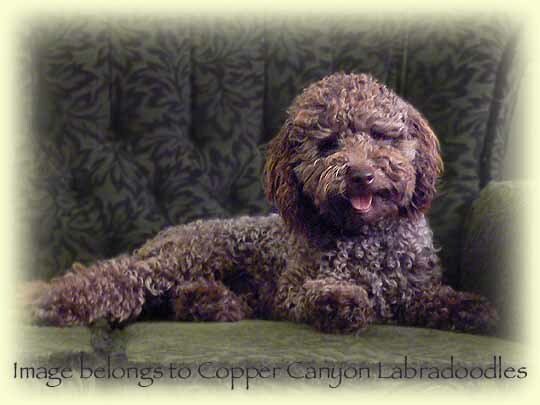 She has a soft coat of non shedding fleece chocolate and we look forward to her puppies. 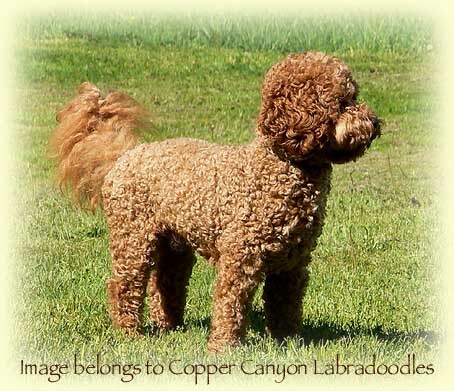 She likely carries for some interesting colours like phantom and parti, so we are hoping for some puppies that carry for her lovely structure as well as rare colours. 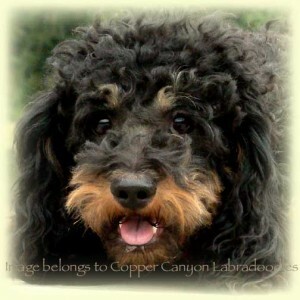 Copper Canyon My Oh My! Angie is a stunner! 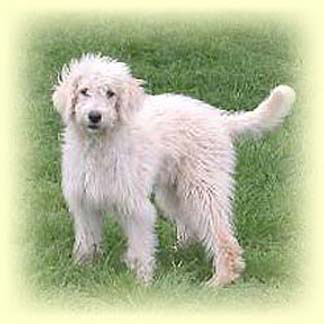 She is out of Missy and Charlie and is a lovely example of a blue merle coloured labradoodle. Angie carries for chocolate as well as black and cream. She is a nice mini size and is a cheerful and playful girl who loves people and loves her ball! 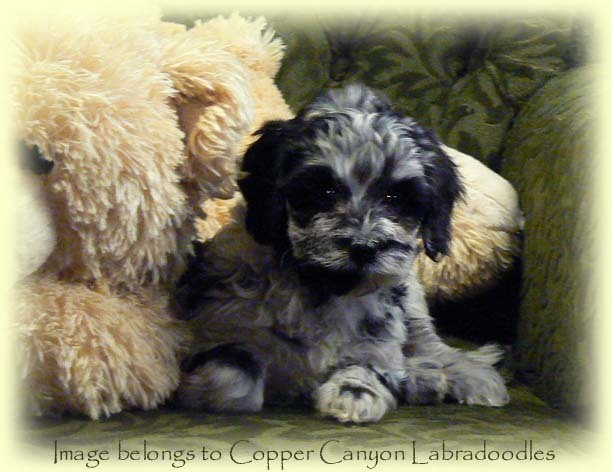 She is an affectionate and cheerful little personality, quite the charmer! 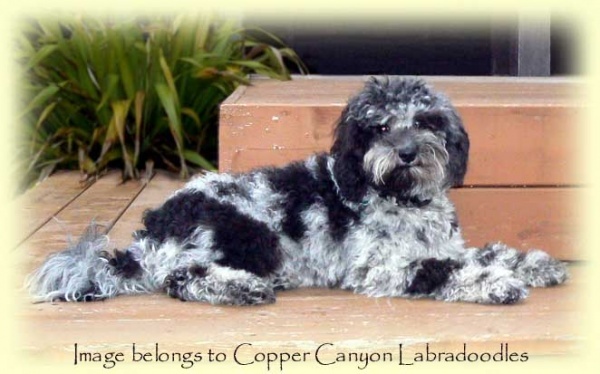 She is a well cherished family pet in a guardian home in Victoria where she has her own family and plenty of beach time. 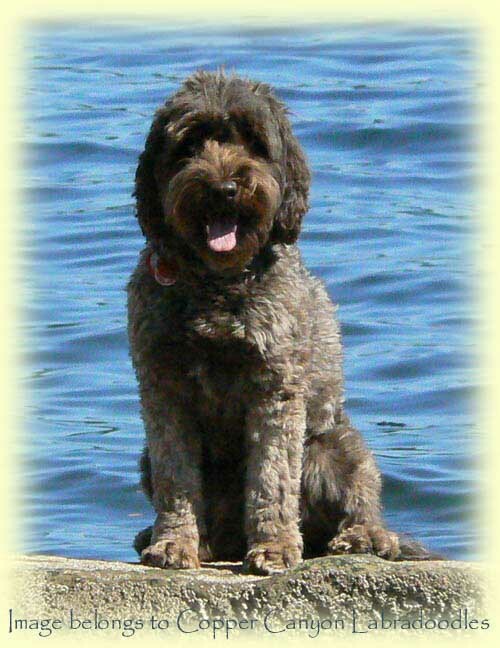 Jazzy is a very nicely put together medium sized Australian Labradoodle girl out of Lady and Charlie. 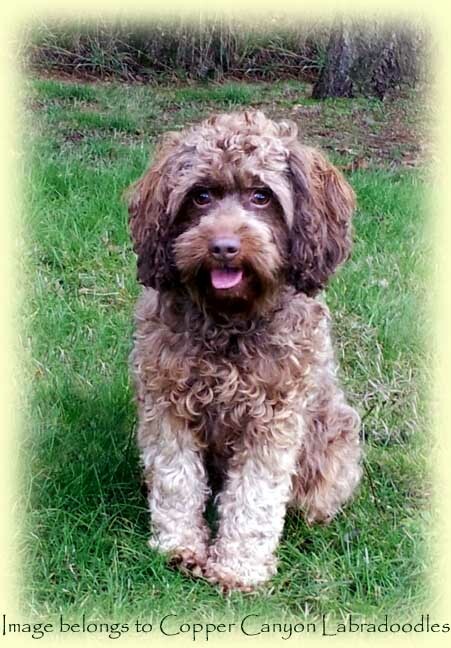 With her lovely boning and a super soft coat of milk chocolate curls, she turns heads wherever she goes! She is quite an intuitive girl, very steady nerved and very social. 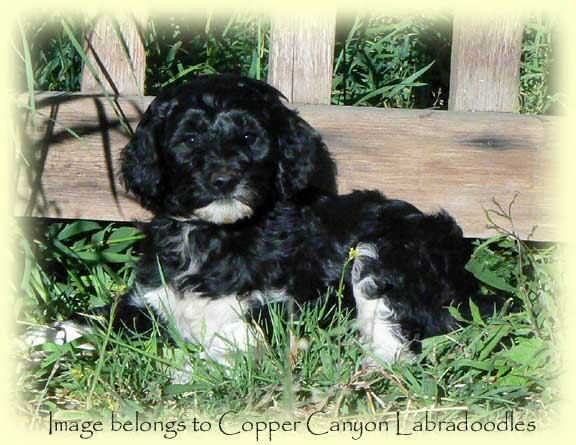 Shadow is our last daughter out of Muggles and a beautiful chocolate phantom stud out of the US. She is a very solidly built girl with lovely boning and a very nice coat. She is a happy go lucky girl, very social and very smart! She is just oversize for a mini (even though both her parents are minis) and so is a small medium in size. Shadow has passed her health testing with good results, so we are delighted. 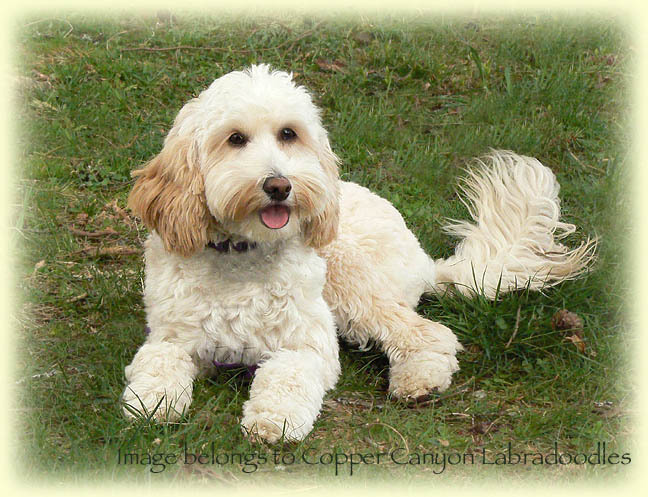 Tawney is a really sweet natured little girl out of our Nicky’s last litter with Button’s brother Bailey. 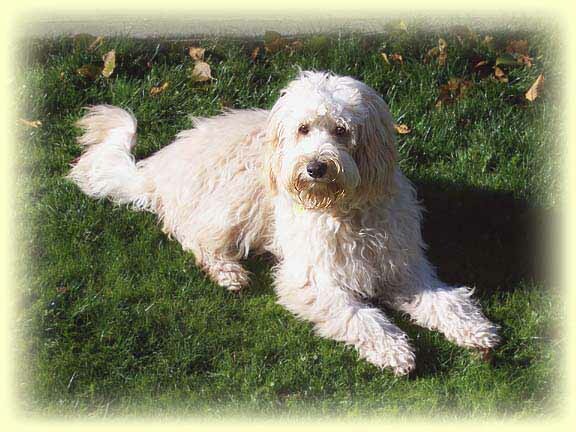 Tawney is just on the cusp between mini and medium for size (17 inches) and has a lovely coat of thick, lusious fleece. She carries for cream, gold, chocolate and black and possibly parti and phantom so we will see some lovely colours in her litters for us! Domino is a sweet little puppy! She’s a social, friendly girl and snuggles right in when we pick her up. 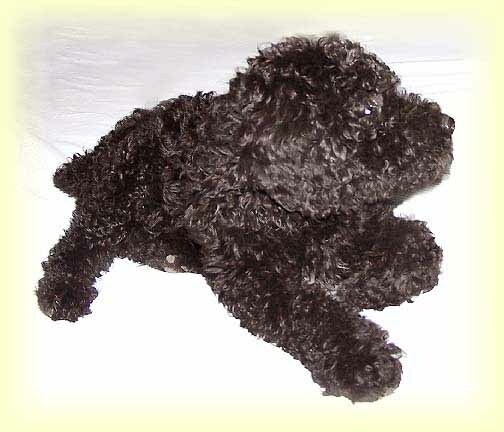 She is a wavy fleece coat black and white parti marked girl carrying for chocolate and cream. She has finished out to be in the medium size range. 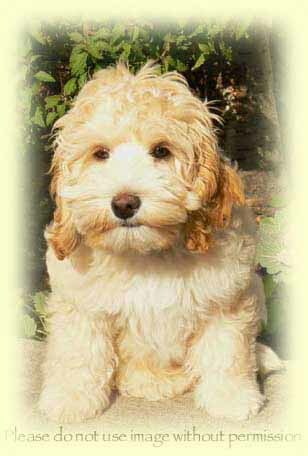 Domino is a lovely Australian Labradoodle out of our new bloodlines and we look forward to seeing her parti marked babies. 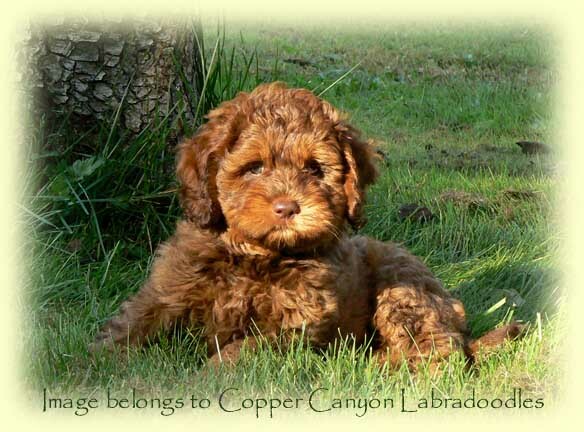 Fudgee is a sweet little hot chocolate coloured girl out of Mikka and Hero’s litter. She has matured to be a full sized miniature, around 16.5 inches and weighing around 25 pounds or so. Both Hero and Mikka have kept their lovely DARK chocolate colour and so we will see all shades of chocolate coloured puppies from Fudgee. She is a smart little girl, very steady nerved and quite affectionate! 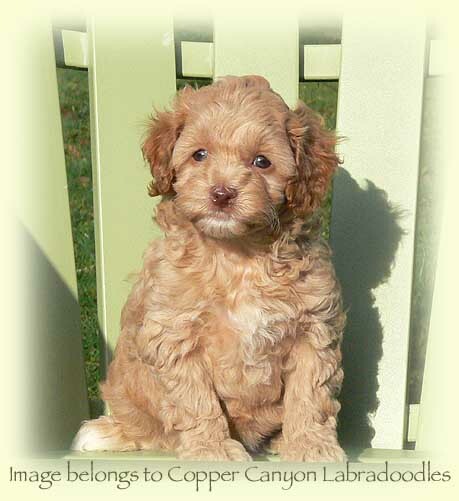 She has passed her health testing and we think she will bring nice things to the Labradoodle breed. Buttons is a gentle little girl out of our Muggles and an outside stud named Bo. She’s as cute as a button, which is how she got her name! She has finished out as a lovely miniature size, 16 inches at the shoulder. 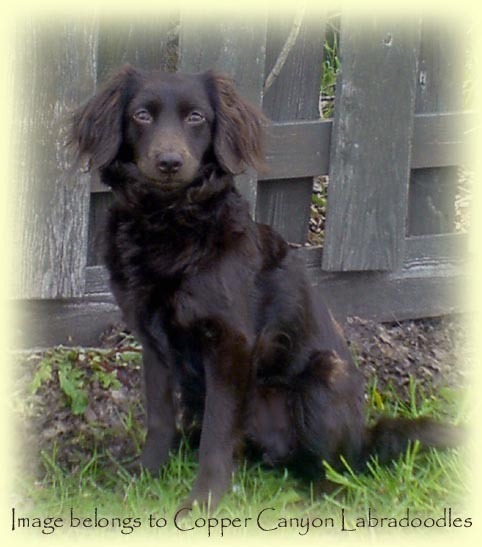 The photos are of her as a puppy and as an 8 month old girl. Buttons is a beautiful solid gold colour with a chocolate nose and she carries for chocolate, parti and phantom as well as gold. She’s a lovely natured little girl with endearing ways and we look forward to babies that have her good temperament and structure. Shiraz is a gentle and sweet natured little girl out of our Nicole and Teddy. She is on the cusp between a full sized mini and a very small medium for size. With her lovely, soft coat of cream fleece and her gold ears, she is simply lovely and turns heads wherever she goes! She carries for chocolate and parti as well as gold and black. She has passed her testing for eyes, hips and elbows and we look forward to her babies. 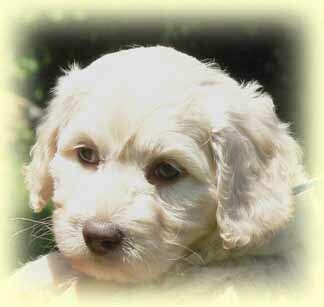 Gracie is a lovely little blonde girl that has mataured to be a small standard labradoodle, 23 inches at the shoulder. 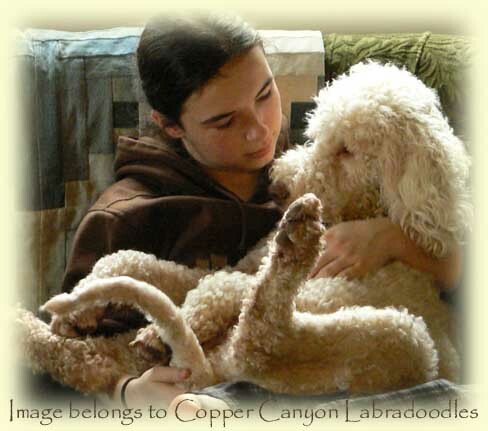 She’s an F1B out of new labradoodle bloodlines and her grandsire, a lovely red poodle, has produced therapy dogs and comes from therapy lines. Grace is confident, loving, and snuggles right in when picked up for a cuddle. 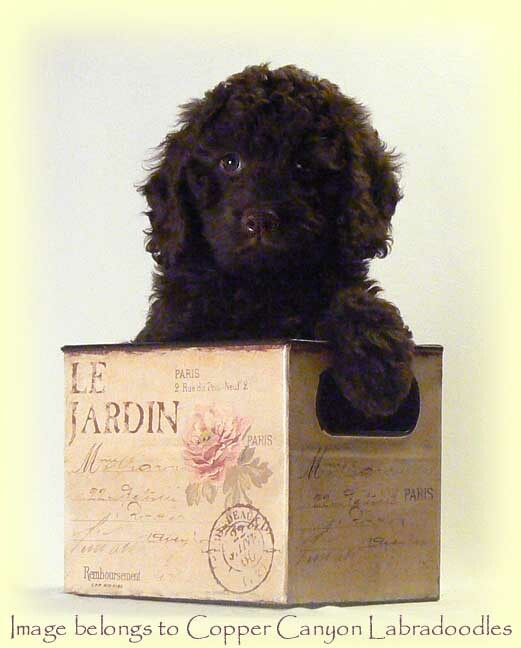 She has gone to be a cherished family member in Victoria and a companion to their standard poodle. 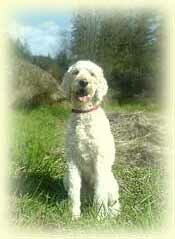 Maple is a sweet natured gold girl out of our Lady and Fergus. 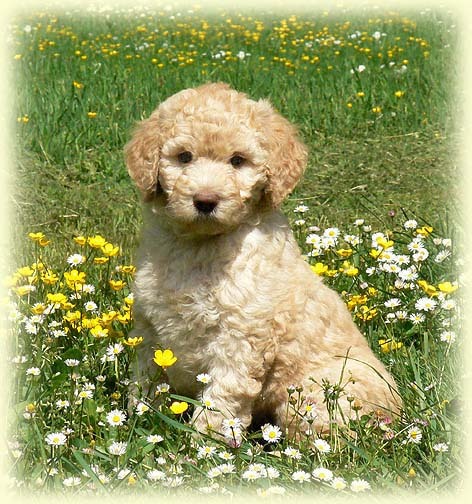 She is social but calm, even as a puppy, and is quite the charmer! Very steady nerved and well balanced, she would make a good therapy prospect. 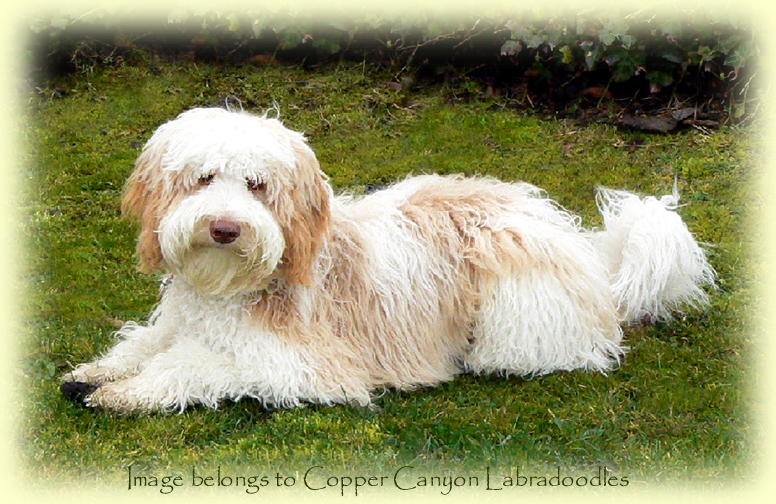 Maple has a soft coat of golden fleece, very easy to groom. Lady is one sweet girl! 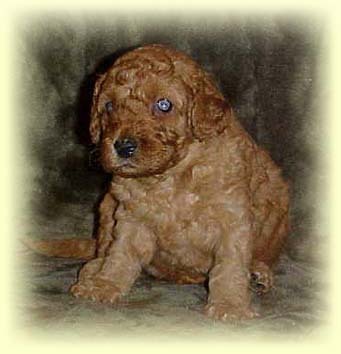 She’s incredibly gentle and has the softest expression in her hazel eyes… Both her parents are very mildnatured and gentle dogs and it certainly shows in Lady. We have nicknamed her “Ladybug” and she is a charmer, for sure!